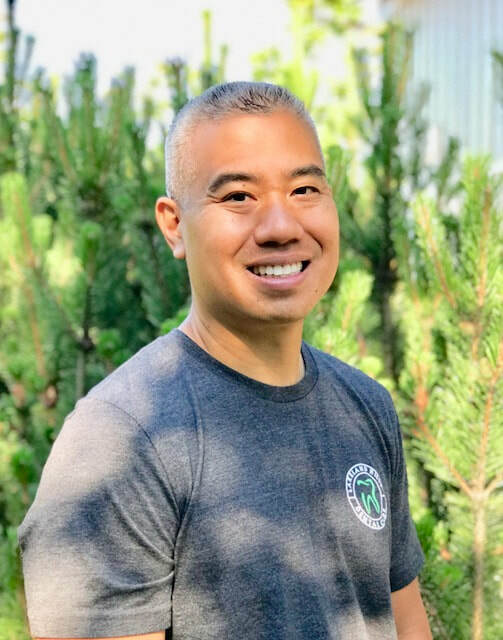 Dr. Grant Lo was born and raised in Vancouver, Washington. He moved to Seattle in 1991 and attended the University of Washington, graduating in 1996 with a Bachelor’s Degree in Environmental Health. In 2001, Dr. Lo earned his Doctorate of Dental Surgery at the Indiana University School of Dentistry. After graduation he returned to the Seattle area and has been working in private practice ever since. Known for his gentle touch and calm nature, Dr. Lo has a reputation for making even the most apprehensive patients feel comfortable. One of his greatest attributes is his warm heart. He has donated countless hours of dental services to underprivileged children and adults whom otherwise would not be able to receive dental care. Dr. Lo excels in all facets of dentistry including pediatric, restorative, and cosmetic care. Dr. Lo stays on the cutting edge of the latest advancements in dentistry through his commitment to continued education. He attends local dental study club meetings, continuing education courses, and is proud to be an active member of the American Dental Association, Washington State Dental Association, and the Seattle-King County Dental Society. Outside of dentistry, Dr. Lo enjoys spending time outdoors, fishing, hiking, camping, and playing tennis and basketball. He is a huge fan of his alma mater's sport teams. Go Huskies!!! But he still pulls for the Cougs, unless they are playing the Huskies, of course. Dr. Lo's favorite activity is spending quality time with his family. He is happily married with one daughter.